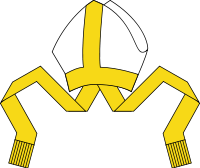 A prelate is a high-ranking member of the clergy who is an ordinary or who ranks in precedence with ordinaries. The word derives from the Latin prælatus, the past participle of præferre, which means "carry before", "be set above or over" or "prefer"; hence, a prelate is one set over others. An auxiliary bishop is a bishop assigned to assist the diocesan bishop in meeting the pastoral and administrative needs of the diocese. Auxiliary bishops can also be titular bishops of sees that no longer exist. Born in Worcester, Massachusetts, Rueger was ordained a priest on January 6, 1958, for the Catholic Diocese of Worcester, Massachusetts. Worcester is a city in, and the county seat of, Worcester County, Massachusetts, United States. Named after Worcester, England, as of the 2010 Census the city's population was 181,045, making it the second most populous city in New England after Boston. Worcester is located approximately 40 miles (64 km) west of Boston, 50 miles (80 km) east of Springfield and 40 miles (64 km) north of Providence. Due to its location in Central Massachusetts, Worcester is known as the "Heart of the Commonwealth", thus, a heart is the official symbol of the city. However, the heart symbol may also have its provenance in lore that the Valentine's Day card, although not invented in the city, was mass-produced and popularized by Esther Howland who resided in Worcester. On January 16, 1987, he was appointed as auxiliary bishop of the Worcester diocese and titular bishop of Maronana. He was consecrated bishop on February 25, 1987. The Catholic Church in the United States is part of the worldwide Catholic Church in communion with the Pope in Rome. 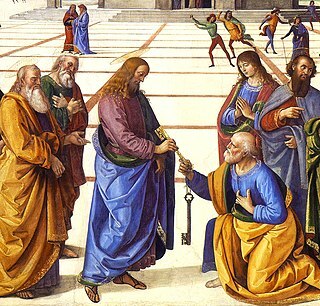 With 20.8% of the United States population as of 2018, the Catholic Church is the country's second largest single religious group after Protestantism, and the country's largest religious denomination. 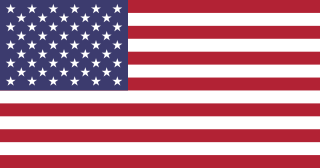 The United States has the fourth largest Catholic population in the world after Brazil, Mexico and the Philippines, the largest Catholic minority population, and the largest English-speaking Catholic population. The central leadership body of the Catholic Church in the United States is the U.S. Conference of Catholic Bishops. This is a historical list of all bishops of the Catholic Church whose sees were within the present-day boundaries of the United States, with links to the bishops who consecrated them. It includes only members of the United States Conference of Catholic Bishops and their predecessors. The Roman Catholic Archdiocese of Seattle is a Latin Metropolitan archdiocese of the Catholic Church, in Washington. Headquartered in Seattle, the archdiocese encompasses all counties in the state west of the Cascade Range. The Roman Catholic Diocese of Worcester is an ecclesiastical territory or diocese of the Roman Catholic Church in the New England region of the United States. The geographic boundaries of the diocese are the same as those of Worcester County, Massachusetts, the geographically largest county of the state of Massachusetts. It is headed by a bishop who has his see at the Cathedral of Saint Paul in the city of Worcester. Aloysius John Wycisło was an American prelate of the Roman Catholic Church who served as the 8th bishop of the Diocese of Green Bay, Wisconsin from 1968 to 1983. Previously he was an auxiliary bishop for the Archdiocese of Chicago, Illinois. Edward Urban Kmiec is a retired Roman Catholic Bishop of Buffalo. Kmiec served as an auxiliary bishop for the Diocese of Trenton from 1982 until his installation as Bishop of Nashville in 1992. He was succeeded in Nashville in 2005 by David Choby. Anthony Michael Pilla is a bishop of the Roman Catholic Church in the United States. He served as auxiliary bishop of the Diocese of Cleveland from 1979 to 1980 and Bishop of Cleveland from 1980 to 2006. Timothy Anthony McDonnell is a retired American prelate of the Roman Catholic Church who served as the eighth Bishop of the Diocese of Springfield, Massachusetts from 2004 to 2014. Robert Joseph McManus is an American prelate of the Roman Catholic Church who serves as the fifth Bishop of the Diocese of Worcester, Massachusetts. René Henry Gracida served as the Auxiliary Bishop of the Archdiocese of Miami (1971–1975), the first Bishop of the Diocese of Pensacola-Tallahassee (1975–1983) and Bishop of the Diocese of Corpus Christi (1983–1997). As auxiliary bishop of Miami he had the honorific Titular bishop of Masuccaba (1971–1975). Bernard Joseph Flanagan was an American prelate of the Roman Catholic Church. He served as Bishop of Norwich (1953–59) and Bishop of Worcester (1959–83). George William Coleman is an American prelate of the Roman Catholic Church. He is a retired Bishop of the Diocese of Fall River, Massachusetts. Robert Joseph Banks is a retired American prelate of the Roman Catholic Church who served as the tenth bishop of the Diocese of Green Bay, Wisconsin from 1990 to 2003. William Patrick Callahan OFM Conv DD is an American prelate of the Roman Catholic Church who has served as Bishop of the Diocese of La Crosse, Wisconsin, since 2010. Mitchell Thomas Rozanski is an American prelate of the Roman Catholic Church serving as the Bishop of the Diocese of Springfield, Massachusetts. Joseph Jude Tyson is an American prelate of the Roman Catholic Church who is currently the Bishop of the Diocese of Yakima, Washington. He served as an auxiliary bishop of the Archdiocese of Seattle from 2005–2011. Robert Edward Mulvee was an American prelate of the Roman Catholic Church. He served as Bishop of Wilmington, Delaware (1985–1995) and Bishop of Providence, Rhode Island (1997–2005). Joseph John Gerry, O.S.B., is an American Benedictine monk and prelate of the Roman Catholic Church. He served as the third abbot of Saint Anselm Abbey until he was appointed Auxiliary Bishop of Manchester in 1986. He served as the Bishop of Portland from 1989 to 2004. Daniel Patrick Reilly is retired American prelate of the Roman Catholic Church who served as the Bishop of the Diocese of Norwich (1975–1994) and the Diocese of Worcester (1994–2004). James Henry Garland is a retired American prelate of the Roman Catholic Church who served as bishop of the Diocese of Marquette, Michigan from 1992–2005. Thomas Anthony Daly is an American Roman Catholic bishop. He is the seventh Roman Catholic bishop of Spokane. He was appointed to this position on March 12, 2015 and was installed on May 20. Previously, he was the first Auxiliary Bishop of San José in California, USA. This article about a Catholic bishop is a stub. You can help Wikipedia by expanding it.